First came the scare over Johnson and Johnson’s (J&J) baby powder on allegations that the product contained cancer-causing asbestos. Just about a month after the US healthcare giant got the clean chit from the government and was able to resume production of its baby powder at its plants in India, its baby shampoo has come under the scanner of domestic drug regulatory authorities. The Rajasthan Drugs Control Organisation, in March, flagged two batches of the company’s baby shampoo for failing tests to ascertain that they were of standard quality, The Indian Express reported. According to the regulator’s alert, the samples – belonging to batches ‘BB58204’ and ‘BB58177’, which will expire in September 2021 – tested “contain harmful ingredients”. The buzz is that these two batches of the No More Tears shampoo, comprising one lakh bottles in total, were manufactured at the company’s plant in Baddi, Himachal Pradesh. Moreover, Rajasthan has reportedly ordered the withdrawal of these contaminated batches and asked the regulators in other states to follow suit. “Particulars of the same declared as not of standard quality on test/analysis are given below for ensuring that the stocks of these drugs are not consumed anymore and appropriate safe guard to the consumers is provided by withdrawing the available stock and take action as per provisions of the Drugs and Cosmetics (D&C) Act 1940 and Rules made thereunder,” the Rajasthan drugs watchdog reportedly told drugs control officers in the notice. A senior government official told the daily that the above-mentioned Act also empowers the state’s drugs control authorities to prosecute J&J, if they feel the need for such punitive action. 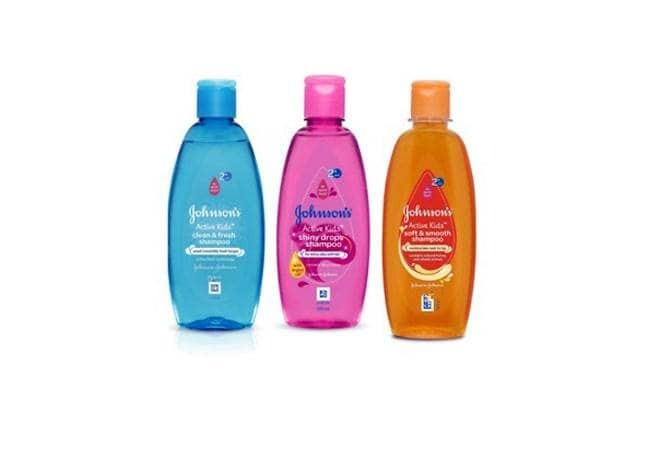 In a statement, J&J said that the regulator had found formaldehyde in the shampoo samples but it has refuted the test results. For the record, formaldehyde has been listed by the US Environmental Protection Agency as a probable carcinogen – a substance capable of causing cancer – and past studies have established a link between formaldehyde and a higher risk of leukaemia. “We do not accept the interim results given to us which mentioned samples to ‘contain harmful ingredients – identification positive for formaldehyde’,” said a J&J spokesperson, adding that the samples were drawn earlier this year and the company had “fully co-operated” during the process. Reiterating that J&J is “in full compliance with current Indian regulatory requirements” the company made it clear that it has applied for re-testing the samples at the Central Drugs Laboratory. Meanwhile, the Central Drugs Standard Control Organisation (CDSCO), India’s apex drug regulatory body, also plans to “examine” the matter closely, adding to J&J’s woes. In November 2018, the Health Ministry ordered J&J to pay between Rs 30 lakh and Rs 1.2 crore as compensation to patients who had received faulty hip implants. In line with that directive, CDSCO ordered the company to pay Rs 74.57 lakh to a Mumbai-based patient last month. Furthermore, in FY18, J&J saw its sales dip in India – long a high-potential market – for the first time since 2002.